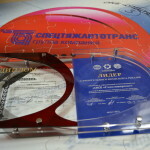 10th All-Russian contest for the title of the best design, survey or similar profile organisation is the main “show” of annual national achievements in the industry. 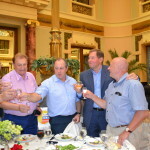 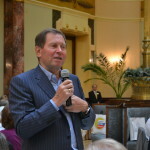 The event is supported by the Russian Ministry of Construction, Housing and Utilities, the Russian Union of Builders and the Russian Trade Union of Construction Workers and visited by the leading Russian companies. 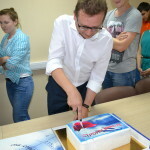 Spetstyazhavtotrans wins this contest for the second year already. 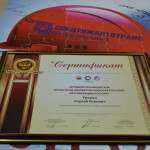 Polinom LLC is awarded with the 1st level Diploma for the highly efficient business results in the current economic conditions. 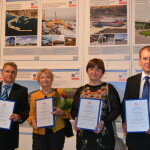 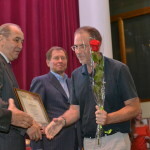 OKB Spetstyazhproekt LLC was given titles “Elite of the Russian building sector” and “Leader of the Russian building sector”.